In the Warrenville 60555 area—as well as all of Illinois—The Kitchen Master has been working with homeowners to remodel their homes since 1977. Are you ready to give your home a fresh look, but not sure where to start? The Kitchen Master offers a one-of-a-kind design that incorporates your vision, ideas and desires, and brings them to breathtaking fruition. Remodeling your home breathes fresh life into its design and helps it meet your needs more fully. The creative designers at The Kitchen Master work closely with you to develop a remodeling plan whose results will delight you while providing the warmth and style you dreamed of for your home. Whether you want to do small renovation jobs to refresh the space you have, or completely revamp your home with major remodeling, The Kitchen Master is ready to help. At The Kitchen Master, we understand that you are making an investment to add value to your home, and that value is not just monetary in nature. There is also a great deal of value in seeing your vision unfold before your eyes. Our award-winning kitchen and bath designs are facilitated by our creative team. We work with you extensively to turn your dreams into the reality you have always had in mind. 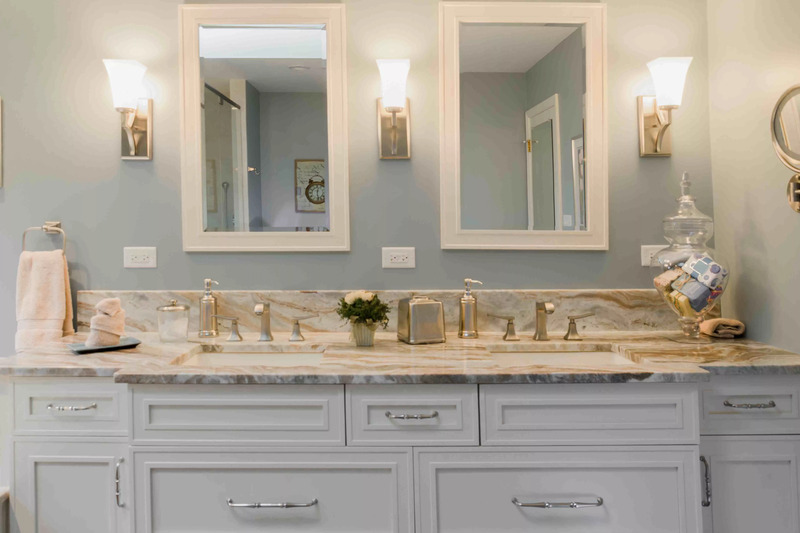 Some of the custom home remodeling projects that The Kitchen Master specializes in include bathroom renovations, cabinet refacing, kitchen designs, and other custom home remodeling services. The Kitchen Master has extensive experience making our customers’ dreams come into stunning focus. Throughout the years, we have developed The Master Plan™—a proven blueprint that details the entire process of your own custom remodeling project from start to finish. As we move from one stage to the next in The Master Plan™, you will work closely with our creative team—including your own personal project manager—so you are always aware of the next step. Your input is shaped and guided by your personal designer. No matter what you want done with your home, we can take care of it. We invite you to visit our gorgeous, 4,000 square-foot showroom. Located in Naperville, it’s where you will be able to view many examples of our finished designs as well as the products we will use in your home. If you’re ready to get started on your Warrenville home remodeling projects, feel free to get a hold of us anytime, and for more information on The Kitchen Master’s remodeling services in the 60555 area, contact us today.